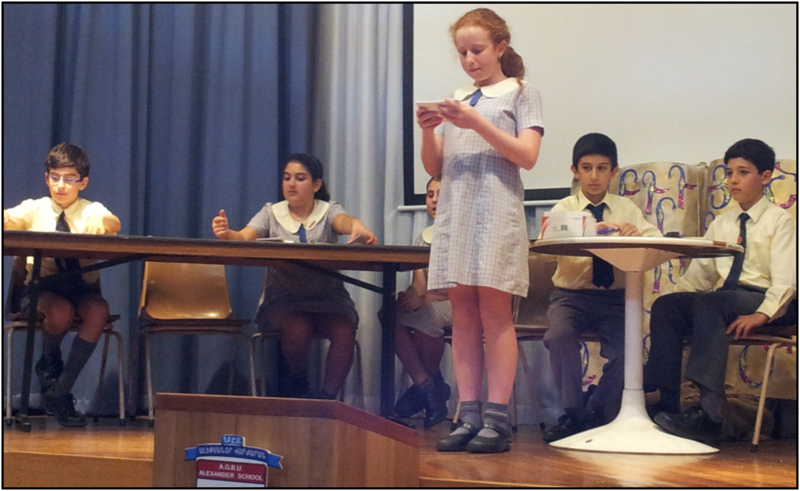 Last Wednesday, Alexander Primary School participated in the ‘Debating Workshop’ held at the Sydney Japanese School. 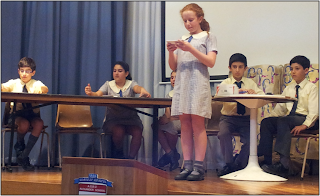 This week we hosted the first debate of the ‘Forest District Interschool Debating Competition’. Our debating team consisted of Christine, Jessica, Ani and Jonathan with Samuel and Kevork acting as timekeeper and chairperson. We were the affirmative team for the first debate “Computers are good for us”. Our first speaker’s arguments were that computers are useful for research and homework purposes, they teach us responsibility and they increase technological skills of school aged students. Our second speaker’s arguments were about entertainment value, opening our eyes to the world and educational games. Galstaun College was the negative team in the debate. We were able to argue and rebut their team’s case strongly so that we were victorious. The second debate of the day was between the German International School and John Colet. Their topic was “Contact sports do more good than harm.” There were many good arguments presented by both sides. The negative team John Colet were the winners in the end. I would like to congratulate every student in Years 5 and 6 for their hard work in preparing arguments for and against the topic. Also the work that they all did in coming up with rebuttals that they might be able to use during the debate and many of them did come in handy. Good luck for the next debate, to be held on Wednesday 22nd May at Galstaun College.